yamaha launches new variants of skubek yamaha jupiter z 2010, this bike was once with the motor diferent jupiter z from previous yamaha jupiter z. because the product yamaha jupiter z 2010 , yamaha create a new engine for yamaha jupiter z 2010 it. in terms of the motor body is made different from the previous jupiter motor. This engine had a capacity of 115 cc if not wrong. about the specifications of this bike I do not know. but this is obviously different motor yamaha jupiter z long. 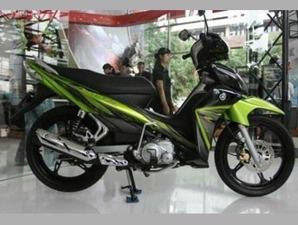 features of yamaha jupiter z 2010 is more sophisticated compared with the previous jupiter motor.